Uganda’s long distance runner Oscar Chelimo settled for third place in the 44th edition of the Boclassic run held in Bolzano, Italy. 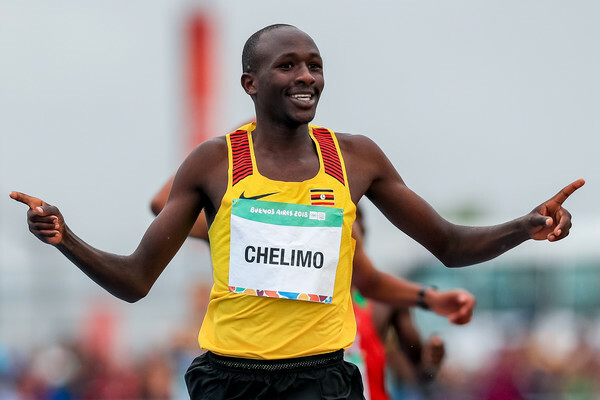 Racing in unseasonably warm conditions that reached 15 C, Chelimo, who also scooped bronze at the 2018 youth Olympics was just 38 seconds slower than the overall winner Tamirat Tola from Ethiopia who covered the 10 KM in 28 minutes, 12 seconds. Kenya’s Jairus Birech was second and took home the silver with a timing of 28 minutes, 24 seconds. In the women’s race, 2015 winner Gudeta Netsanet from Ethiopia ran at the front from the early stages, closely followed by Kenyan Kisa, the 2014 winner. Gudeta pulled away for good during the third of four laps en route to her 15:46 performance, holding off Kisa by three seconds. Vohla Mazuronak from Belarus, the 2018 European marathon champion, finished third in 16:08 ahead of former world U18 800m silver medallist Clara Mageean (16:20) and Italy’s Margherita Magnani.